Most golfers lack consistency out of bunkers because they have way too much lower body action when playing bunker shots. As you can imagine the more moving parts you have, generally the more inconsistent your results will be. To make your bunker play more simple and therefore more repeatable here’s a simple drill you can do. 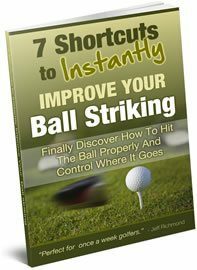 Go to your local practice bunker and place at least 20 balls in the bunker. Now setup to a bunker shot as normal but just before you start your swing raise your right heel off the ground (left heel for a left hander). Doing this places your weight on the balls of your feet and most of your weight on your left side which is where it should be for most bunker shots. Once setup with your back heel off the ground, simply swing making sure your heel remains in the same position. Doing this it may seem like you’re reverse pivoting, but you shouldn’t be if you transfer your weight to the balls of your feet and you should be doing this anyway. So when doing this bunker drill remember that most of your weight should be placed on your front foot at setup. And when you swing most of the weight should stay on the front foot but the weight that is transferred back should be on the balls of your feet and not on the heels. That’s why this bunker drill works so well because it restricts your leg work and gets you into the same good position swing after swing. 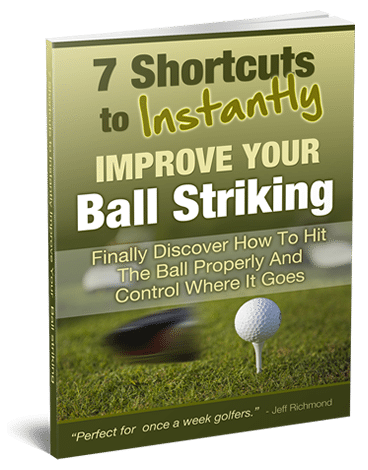 This has to help you become a better and more consistent bunker player.